In Part 3 of our reputation management series, we explore the idea that reviews convert better than ads. For Part 1, click here to learn how to use reviews to generate leads! For Part 2, click here to control and improve your online reputation! The digital age has made it easier than ever to access information and yet it often feels impossible to find the right information. 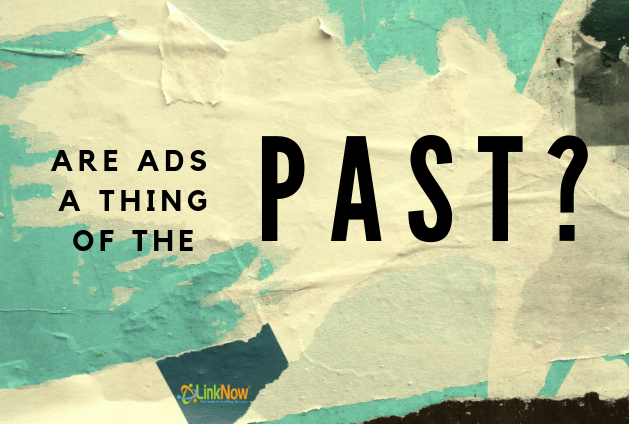 With the sheer volume of marketing data that Google churns out on a second-to-second basis, it’s no wonder business owners struggle to navigate those great swaths of information to create an effective advertising strategy. Fortunately, a safe and reliable solution exists: reviews! While advertising is still a cornerstone of any sound marketing strategy, generating reviews is more important than ever these days. Plus, it’s an easy and cost-effective way to expand your reach without having to spend exorbitant amounts of time and money on advertising. Here are four reasons why you should prioritize generating reviews over advertisements. Your reviews are a showcase of your achievements. Each one you receive advertises your services and the value you offer to your customers—free of charge. And by letting Google know of your recent activity, they help build your online footprint, improve your business’ online searchability, and generate clicks on your website. 82% of U.S. adults read online reviews before buying something for the first time. By and large, consumers consider reviews a trustworthy and reputable source of information. The same cannot be said for ads, which are often perceived as too biased to inform one’s decision-making process. In fact, it’s often unclear what impact—if any—a particular advertisement has on a consumers’ decisions and on a business’ conversation rates. The way people search for information online has only further cemented this behaviour. More and more, people these days search for reviews when looking for a service. Consequently, Google tends to rank those review pages higher, which makes your business easier to find and more reputable for consumers. Reviews let you open a direct line of communication with your customers. By thanking customers for positive reviews, you show them that you value their support and help build a lasting relationship with them. And by addressing negative reviews, you demonstrate your commitment to customer satisfaction and improving your business model. Reviews help you start a clear dialogue with your customers, in turn cultivating meaningful long-term relationships with them. Online reviews are a way for you to solicit genuine constructive feedback for your business. While not all of them will necessarily help you improve your business model, you are bound to find kernels of truth within them that do help. You’ll discover not only what you’re doing right, but also what you can work on to improve your business and make it more marketable to consumers. Reviews will also help you reflect on the true value of your services. You’ll be able to find out what your consumers want out of your service and how to set yourself apart from your competitors. That way, you can continue to develop your marketing strategy to better reflect the needs of your customers. Altogether, generating reviews is a reliable, safe, and cost-effective solution to generation leads and building trust with your clients. If you want further information about improving your business’ online reputation, feel free to leave a reply below! Click here for Part 1 of our reputation management series. Click here for Part 2 of our reputation management series.